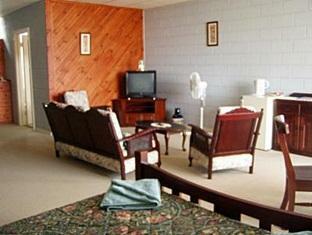 يقع Kangaroo Island Seaview Motel في Kingscote, جزيرة كانجارو, هو خيار شائع بين المسافرين. إن موقع الفندق الاستراتيجي، الذي يبعد 1 km فقط عن مركز المدينة، يسمح للنزلاء بالوصول سريعاً وبسهولة إلى العديد من الوجهات المحلية المثيرة. سوف يعشق النزلاء موقع هذا الفندق، فهو قريب من أهم المعالم السياحية في المدينة كمثل Kangaroo Island Spinners & Weavers, Kingscote Farmers' Market, Shep's Studio . 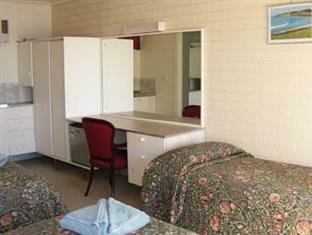 يعمل Kangaroo Island Seaview Motel على ضمان إقامة مريحة لضيوفه من خلال خدماته الممتازة وحسن ضيافته. هذه بعض الخدمات الموجودة في هذا الفندق: مرافق مخصصة لذوي الاحتياجات الخاصة, تخزين الأمتعة, واي فاي في المناطق العامة, صف السيارات, خدمة الغرف. استمتع بوسائل الراحة الراقية في الغرف أثناء إقامتك هنا. بعض الغرف تتضمن تلفزيون بشاشة مسطحة, اتصال لاسلكي بشبكة الإنترنت (مجاني), حوض الاسترخاء, غرف لغير المدخنين, مكيف هواء لمساعدتك على استعادة طاقتك بعد يوم طويل. يمكنك الاستمتاع بالأجواء المريحة التي تقدمها صيد السمك, حديقة طوال النهار. 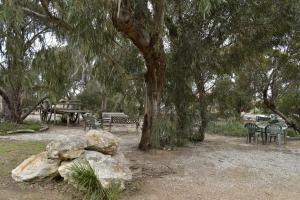 استمتع بخدمات لا يعلى عليها وعنوان ذو اعتبار في Kangaroo Island Seaview Motel . 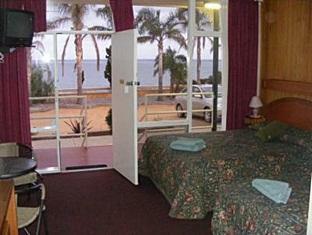 The name is appropriate - great ocean view, you can literally watch sunrise from bed. A sea pool just in front, super for swimming. Room was spacious, staff helpful and friendly. Internet not working well, weak signal but - we were on vacation! Close to restaurants. Some rooms have water views. Friendly lady at reception. 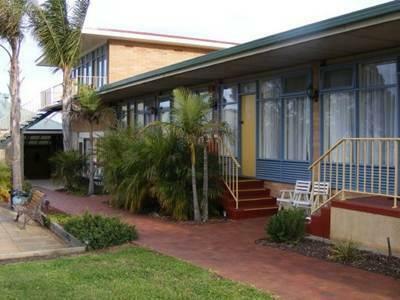 This is an older style motel with limited facilities but if you're not fussed about spa baths and trendy decor it is great value for money and in a fantastic position. Our room had spectacular views over the ocean and we could walk anywhere in the little town of Kingscote from the convenient location. Also the room seemed a little larger than the average motel room with a kitchenette area with toaster, plates, bowls, cutlery etc allowing us to easily make our own breakfasts. Friendly staff too and nice and clean. I only stayed one night. The building is old, looked better in pictures. The bed and specially the pillows were not comfortable (too hard). Breakfast was included but not too much to chose from...specially the coffee cups were too small! Haha The staff were friendly and helpful. Its very basic place, which I guess was what we expected. What I did not realize that there was no en-suite bathroom for our room (I must have not noticed while booking) To have that was extra AUD 40 which did not make it that value for money stay. If you know you want to stay in Kingscote area, this is walking distance to the beach & the city centre. Nothing wrong but nothing WOW about the place. The motel is very tired. The net curtains seem to be bio degrading. Lock not working on the toilet door. Plenty of room to spread out (Matthew Flinders suite) for two adults and two kids, 11 and 13 years. Access to toilet and shower through washroom not perfect for grandchildren with grandaughters! Breakfast very boring. Fresh fruit some days and/ or pastries would have made a change but it was adequate. Accommodation was adequate, the photos of the property on the net were overstated,but everything was clean and comfortable, property was quite dated. From the beginning, we were surprised with the increase in hotel rent for our child although we specified the number of adults and kids when we booked the room. The bathroom was not clean. Our room had not been serviced over the 3 nights stay. On the second day of the stay, we received a letter from the management telling us that our room has not been serviced because of bad smell and a peace of bread found on the ground and we would be charged for extra cleaning!! Although there were few number of "no smoking" around our room, some people who used to enter "only staff" facilities were smoking close to the reception. Overall, if we had the choice to choose again, we wouldn't chose this motel for our stay. 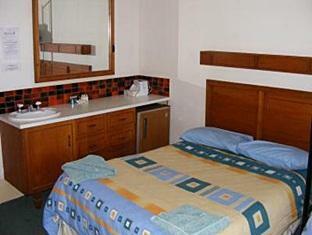 This motel locates in a very good location in Kingscote, which is the capital of Kangaroo island. It's only minutes away to walk to the jetty and pelican feeding performance area. Also it's very close to the foodland to get food supplement. You can get free wifi access in the reception area of the motel. 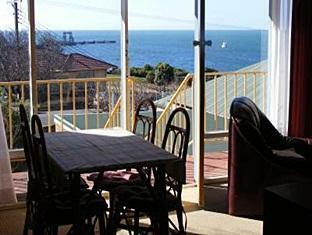 Rooms are basic but Great ocean views and super close to town. Staff very accommodating. This is a great locale- right across the street from the ocean and the street is very quiet. Room was basic but a great value and they provide you with a toaster, tea pot, rue fridge., dishes, etc... The breakfast was great and they had made us a tray since we were leaving early in the morning. You can walk to town center in 5 min.